The $600,000 Rust-Oleum Championship is Josh Teater’s to lose on Sunday. There’s no doubt about that. But he’d better look out for his surprise playing partner. Dan Woltman earned his spot in the final pairing at Ivanhoe Club after shooting 67 in Saturday’s third round. He stands three strokes behind Teater’s front-running 204, which is 15 under par for the 54 holes. No one else is within six shots of the leader. Woltman, though, isn’t your ordinary challenger. He got into the 156-man starting field through Monday qualifying and Sunday will complete his first 72-hole tournament of the year. In fact, he’s played in only two events prior to this week and Saturday he didn’t even have his regular caddie for the entire round. 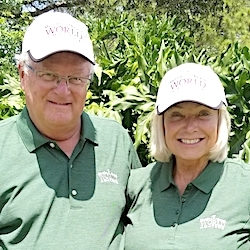 Wife Merissa, who quit her job to be Woltman’s full-time bag-toter this year, had a leg problem after six holes and had to relinquish caddie duties to Woltman’s father. How the caddie situation will factor into Sunday’s round remains to be seen but Woltman isn’t focusing on possible negatives. Teater, who shot 68 in the third round, was a regular on the PGA Tour from 2010 to 2014. He got there in large part because of his victory in the Utah Championship, another Web.com Tour event, in 2009. Spectacular shots for eagles marked his last two rounds at Ivanhoe. He put a hybrid from 220 yards to eight inches on No. 15 in the second round and holed out from 146 yards with an 8-iron at No. 12 in the third. Teater led after 54 holes in his Utah win as well, and that got him into 156 PGA Tour events in the next six years. His play dropped off the last two, however, and he returned to the developmental circuit full-time this year in hopes of using it as a path back to the premier circuit. A victory on Sunday would go a long way to helping him achieve that and – oh, yes – a $108,000 first place check is also on the line. 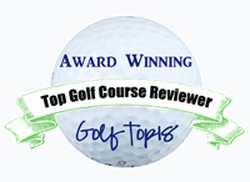 Woltman, who graduated from the University of Wisconsin, played on the Web.com Tour in 2011. Wrist surgery kept him out in 2012 and 2013, however, and he returned to tournament play last year on the European Tour. He does his practicing at University Ridge, near the Wisconsin campus where he played collegiately, and Old Hickory, in his hometown of Beaver Dam. Two weeks ago, after making some swing changes, he won a tournament on the North Star Golf Tour in Minnesota, shooting his lowest score ever for 54 holes – 197. That, coupled with his success in Monday’s qualifying round for the Rust-Oleum Championship, gave his confidence a big boost. “If Sunday goes well I could be playing every week out here (on the Web.com Tour),’’ he said. “I’ve got Challenge status in Europe but I want to be on the PGA Tour full time, and this is the path to the PGA Tour. Other than Woltman, Teater didn’t have many challenges on Saturday. The three local players to make the cut fell down the leaderboard. Frankfort’s Brian Bullington shot 71 and is tied for 12th. His former Iowa teammate, Deerfield’s Vince India, posted a 71 and is tied for 21st with, among others, former Illinois star Brian Campbell.